This chapter analyzes a controversy that developed among participants in a Basel Convention process organized to decide the distinction between waste and non-waste electronics. After five years of negotiations, the process collapsed at the May 2015 meeting of the Conference of the Parties to the Convention. The chapter draws on a methodological approach called controversy mapping to chart out the relationships between actors and their disagreements in an attempt to figure out why such a basic distinction-that between waste and non-waste-became so intractable that the actors involved could not agree on their meanings. 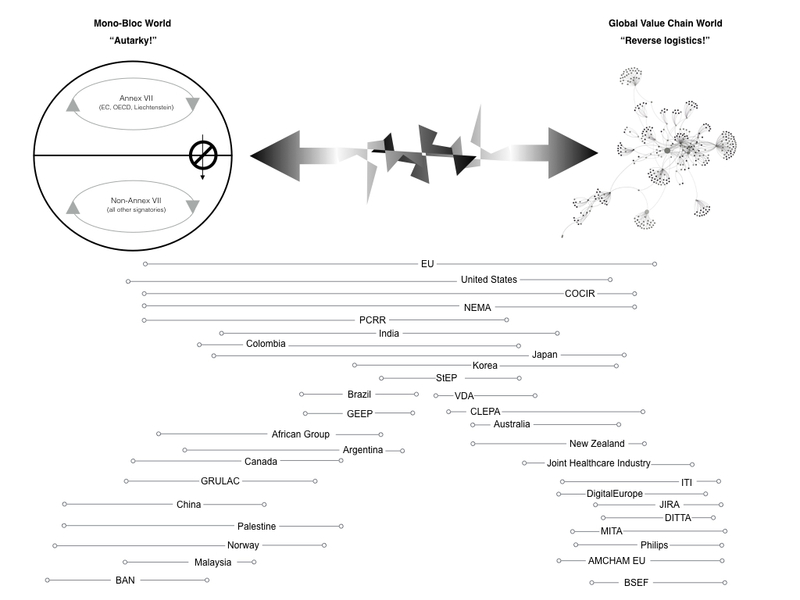 Most of the figures for this chapter rely on a web-based platform called Debate Graph. Debate Graph is intended to help visualize relationships relevant to an issue. In the example immediately below, relationships are depicted between actors, issues, and documents relevant to debates over the distinction between waste and non-waste electronics that took place between 2010 and 2015 as part of a Basel Convention process. 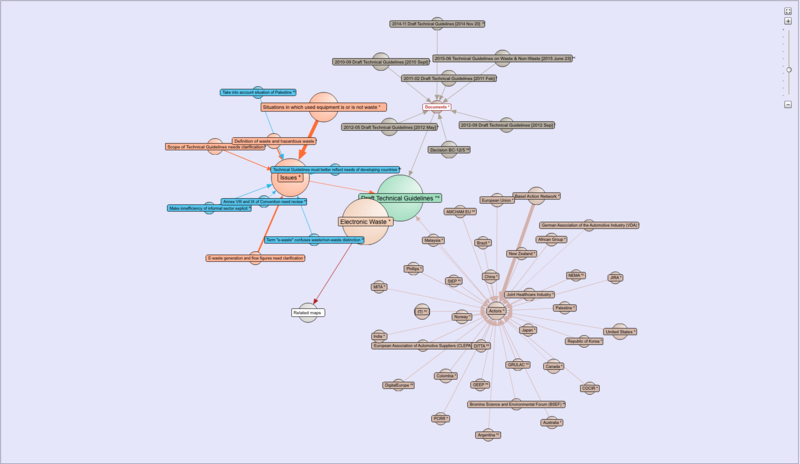 The view above is only one way of visualizing the relationships between actors, documents, and issues in Debate Graph. To expand the size of the visualization for better viewing or select different ways to view it, readers may wish to open the visualization in a separate full browser window and click on "Help" to read the short "Overview" of Debate Graph so as to get familiar with its use. To do so, click here. The remaining figures for Chapter 2 are available from the links under "Contents" below.